Branston usage is famously linked to cheese and pickle sandwiches, but research amongst Branston existing users identified that there was an appetite and openness to experimenting with Branston in cooking. Unlocking this wider usage opportunity could lead to further usage occasions and drive frequency and volume growth. We worked with Branston to uncover more about these behaviours, and the motivations behind them to develop a digitally-led test campaign to evaluate the potential for encouraging wider usage of the product. Working from the initial insights provided by the client around the potential to use and recipes to try, we also developed a small set of research surveys via social to understand likelihood to try, current behaviour, messaging/language used and key recipe types. This provided the insights for the creative idea – Pickle Pioneers. We identified that the existing users were either opposed to the idea (‘it’s just for cheese and pickle sandwiches’) or really excited by the idea in equal measure. So the audience most likely to try are ‘Pickle People’. 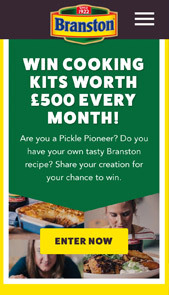 Pickle people became ‘Pickle pioneers’ – acknowledging that these pickle people are the first to try new things, and experiment in cooking with Branston. Linguistically, we identified common themes, which we wanted to play back in the creative and messaging – Adds tang, zing and brings out the flavour. 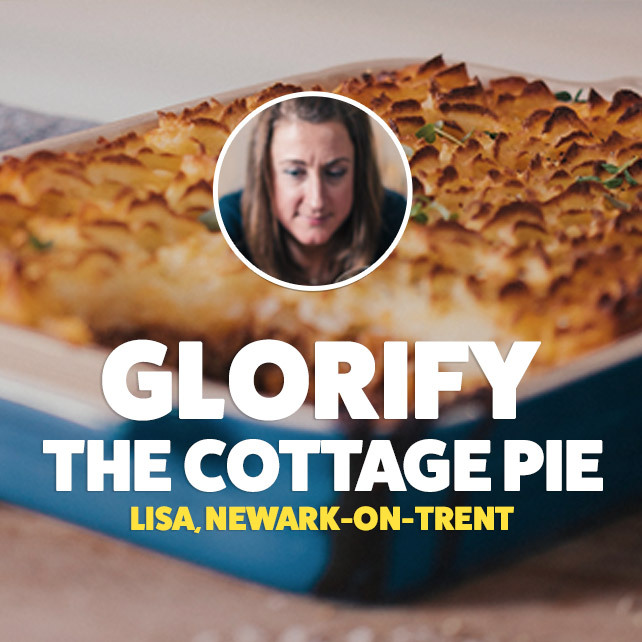 We also there was a journey to trying and building confidence – from recognised, everyday recipes such as Spag Bol and Cottage Pie, leading to recipe discovery and more adventurous usage. 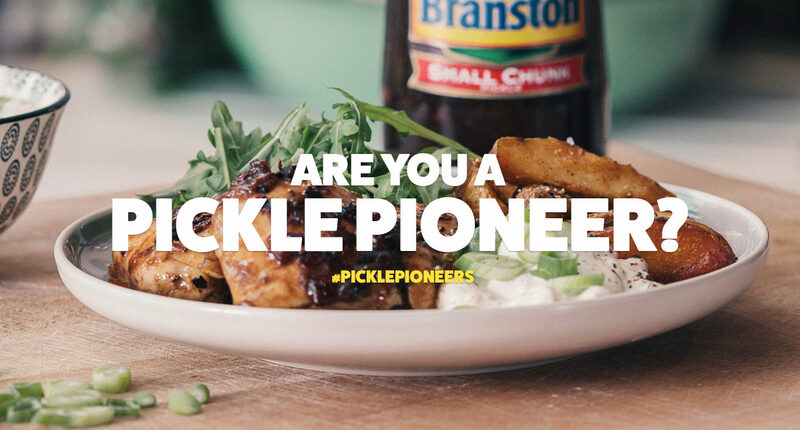 Built on the insights, we created the ‘Pickle Pioneers’ campaign – shining a light on those Branston pickle users who are most likely to experiment with wider usage of the product in cooking. 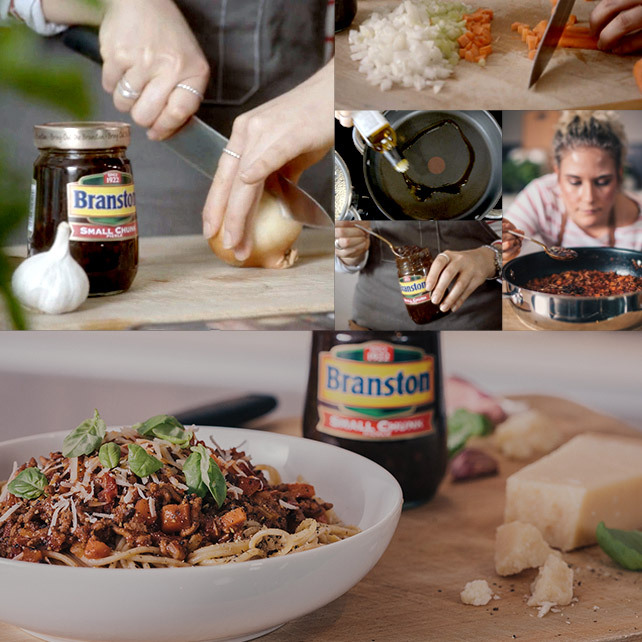 We created three recipe films as the centrepiece of the campaign, featuring foodie microbloggers who each had a recipe for using Branston in their cooking. The use of microbloggers added authenticity, as these guys really are Pickle Pioneers. The three recipes are amplified with a substantial campaign across digital video channels and social, with an additional new use recipe developed by Twisted food for their community. The campaign also included an on-pack promotion and recipe guide using a fixaform on the jar lid to offer recipe ideas, a consumer promotion and 50p money off coupon. This has been added to 1 million jars to reach existing users and find our Pickle Pioneers. 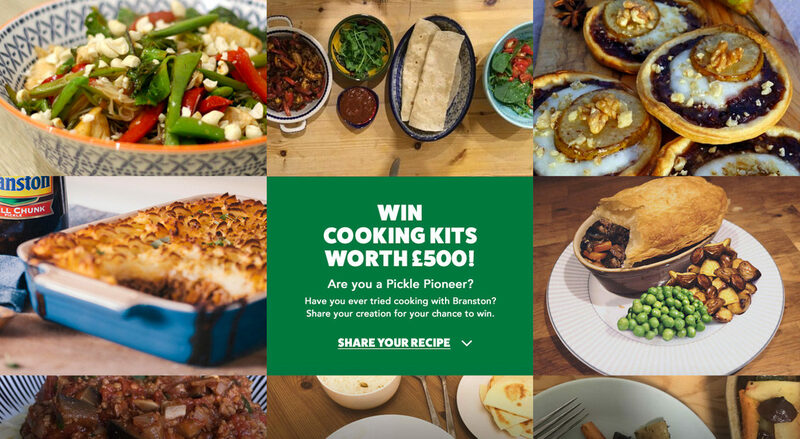 The consumer promotion invites users to share their recipe creation on social with #PicklePioneers, or upload to the website for a chance to win monthly cooking prizes. 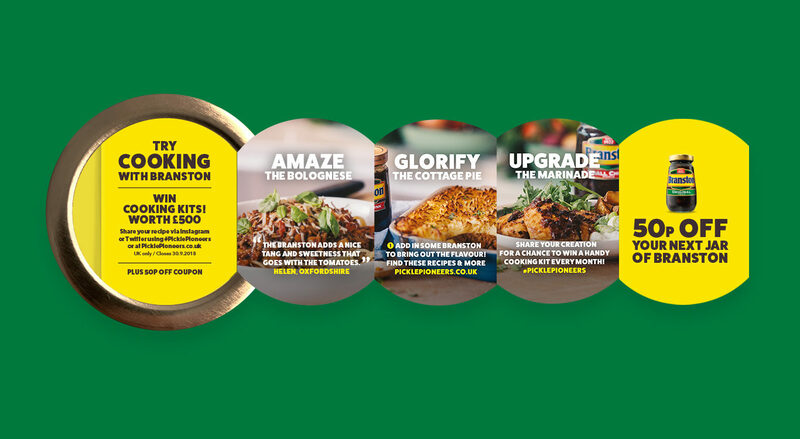 To reach existing buyers we worked with Dunnhumby to reach 100,000 Branston buyers and mailed these with a mailing including the new use recipe guide, #PicklePioneers promotion and money off coupons. 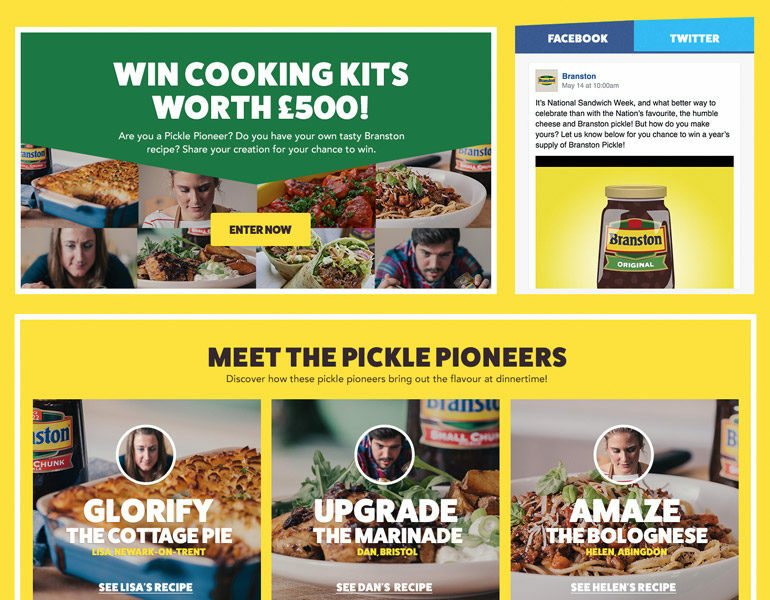 The Branston website acts as the hub of the campaign, with consumers directed to picklepioneers.co.uk for wider usage recipe inspiration, recipe films, and to enter the #PicklePioneers promotion and see the consumer entries – these can also be rated and shared for additional rewards. The campaign delivered 6 million ad impressions, and 3.1 m video views, with 1.2m completed views (37%). High levels of engagement with the video content & high click rates suggest interest in the message and the creative & media – the video completion rate in some media was as high as 89%. The campaign delivered its key message, increasing ‘goes well in a range of meals’ by +18% and ‘I’d like to experiment when cooking’ by +9%. It had a strong advocacy effect, too, with 25% of viewers saying they would tell someone about it as a result of watching a film. New usage recipe engagement via the website was above benchmark; time on site & page views more than double 2017 website average. Over 44,000 people visited the recipe content – 66% ahead of target on visits. 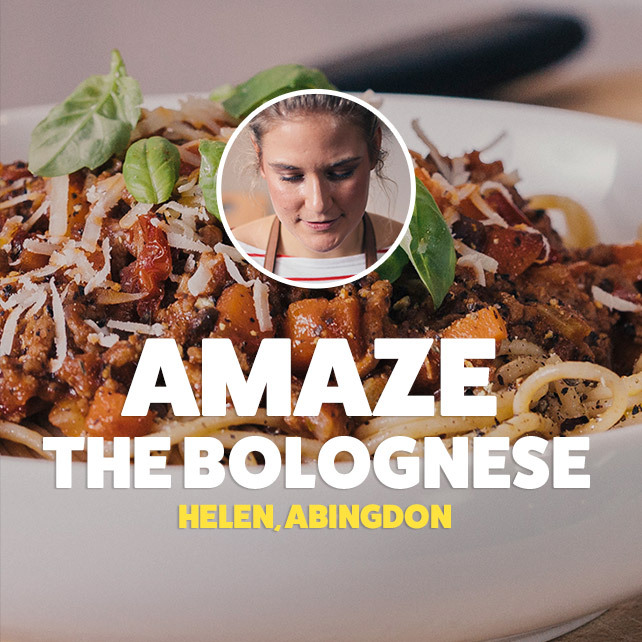 The campaign received 227 new usage recipe creations by way of uploads and social shares to enter the competition, with a variety of recipes – people got behind the idea! We’ve also received 605 recipe ratings. Interestingly, a third of of recipes include cheese – a perfect partner for Branston! With these results, Phase 1 of the campaign was deemed a huge success in driving new usage, but also taking Branston Pickle to new audiences. As a result, Phase 2 of the campaign is being rolled out.